Even when they are not exploding and burning, as the Lathrop compressor station did yesterday, compressor stations are a major health hazard and they are multiplying rapidly in Pennsylvania. Here’s more news, with photo and video, of yesterday’s fire, and an invitation to go the extra mile to protect those now in harm’s way in shale country, PA. Noxious substances emitted by compressor stations in Pennsylvania, as measured by the PA DEP in June 2010 at a compressor station in Greene County which has been making nearby resident Pam Judy sick, include: benzene, styrene, toluene, xylene, hexane, heptane, acetone, acrolein, propene, carbon tetrachloride, chloromethane and others. Most of these are known carcinogens and exposure to them creates the type of symptoms (severe headaches, dizzy spells, nausea, and other symptoms) Pam and her family have been experiencing. “Enough is enough,” Frank Finan’s title for his photos, sums up local residents concerns pretty well. Here is an Action Alert, along with news about the Commonwealth Pipeline, which Protecting Our Waters opposes to protect our land, air, water, climate, and health. When: April 17, 2012 at 6:00 p.m.
Where: Montrose Area Jr. / Sr. High Scholl located at 75 Meteor Way, Montrose, PA 18801. The DEP is requesting that people sign up ahead of time, although they state that if there is time after pre-registered speakers, then they will allow people who aren’t pre-registered to speak. Clean Air Council will help develop an online sign-up tool to sign up for both hearings. Contact Matt Walker (contact info. above) for more info. The Commonwealth Pipeline, which would bring Marcellus gas to Philadelphia, Baltimore and Washington if approved, has not yet applied for crucial permits and is in the early stages of gathering funds and determining its route. The pipeline would use eminent domain to bulldoze past objections of landowners along its route. Even while 200,000 trees are being cut for the MARC 1 pipeline, Don Gilliland summed up some of the controversies surrounding the Commonwealth pipeline at this early stage in the Patriot News today. 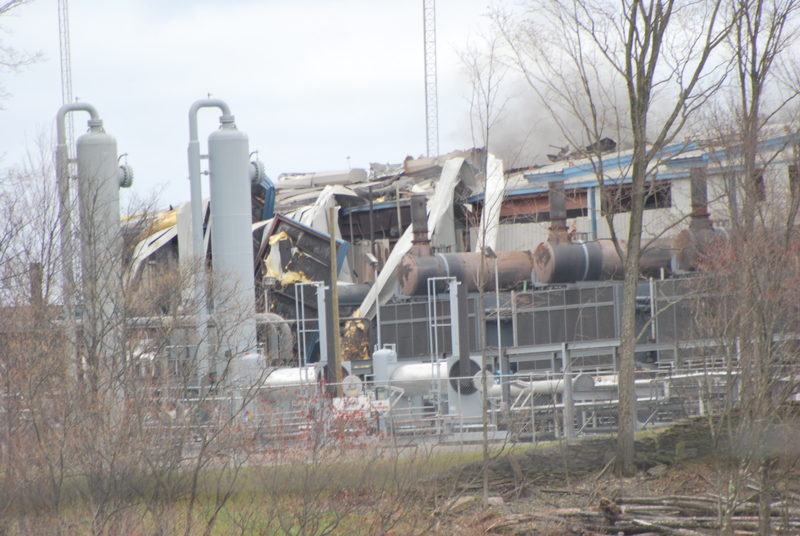 People interested in following up on this can call for a complete investigation on this incident, including whether the explosion constitutes a violation of the air quality permit. People can ask for a halt to operating Lathrop until it is deemed safe, as well as a closer review of other compressor stations that use similar equipment. They could also ask the Northeast Regional Office of DEP for a listening session with residents to discuss these and other types of impacts. The phone number is 570-826-2511. (Rebecca Roter has asked this several times with no response. She is passing an e-mail around looking for people to sign-on as well). On a related note, we’re also encouraging residents to report ANYTHING that they smell, hear or see that is out of the ordinary. Odors, visible emissions or noises may be the only indication of serious environmental violations. The DEP has the authority to take remedial action through investigations and issuing notices of violation. We encourage people to use our online survey form to report these disturbances and to make a phone call directly to DEP (1-866-255-5158). Clean Air Council will be collecting this data and sending it to other agencies so they can have a record and know the depth of what residents are experiencing. As introduction, Pipeline Safety Coalition (PSC) formed a year ago – our website http://www.pscoalition.org is pathetically under construction, but that’s because we are busy helping citizens learn about the pipeline part of Marcellus Shale so that we are all proactive and better able to protect our individual and environmental communities. The direct answer is that Lathrop is a gathering compressor station in a Class 1 area. Under Act 13, Class 1 gathering lines are not under the jurisdiction of PUC. PUC is confirming that they have no jurisdiction, but by law, this compressor station will most likely be considered non jurisdictional…Williams will decide what’s best for the people and the environment.